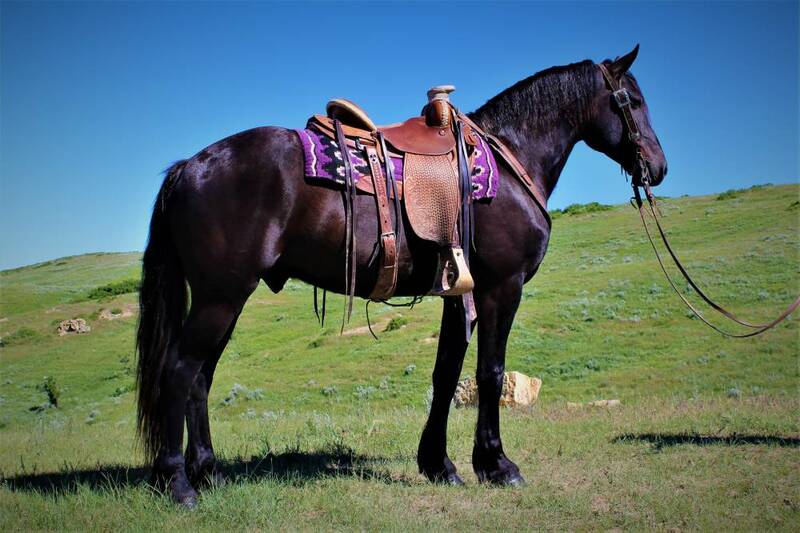 This beautiful black gelding is truly a cowgirls Cadillac. 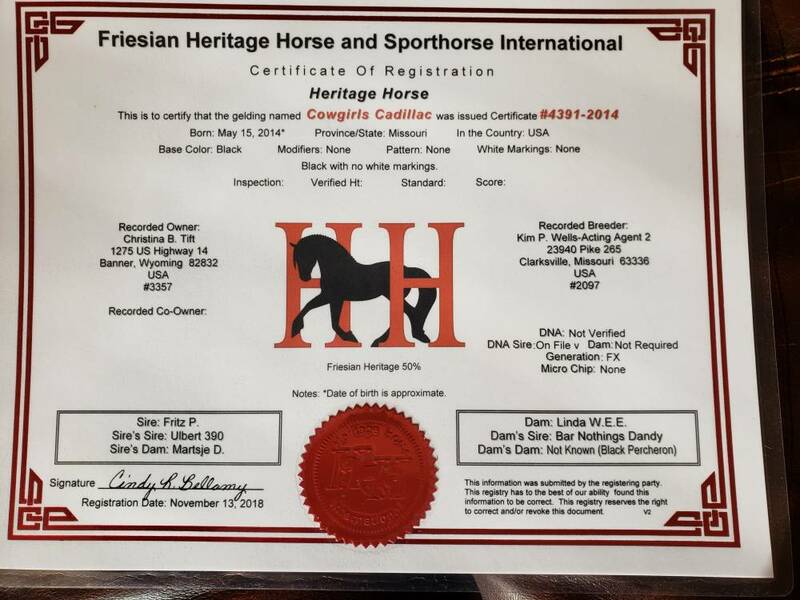 He is a fancy, smooth moving, classy, Frisian cross gelding that stands 15.2 hands tall and is 6 years old. This horse has the perfect combination of having feel and athletic ability, but yet still gentle, easy to ride and willing. He is a true joy to be around and ride! He has a nice handle and is soft in the mouth and responds well to leg cues. He has been ridden in the Big Horn Mountains all summer long behind cattle and will go anywhere you point him on the trail.He also lopes nice circles, sidepasses, backs, does turn arounds and stops nicely.He carries himself with class, has a really pretty head,nice hip and will be a showstopper anywhere you take him.